An average training day for Camille Herron might include eating a burger, dancing to Led Zeppelin’s “Ramble On” in the car and a run along a winding mountain trail, her blond hair swaying untamed behind her. Even her average days are extraordinary; one line on her running resume might be a lifetime achievement for someone else. Take, for example, her accomplishments at the marathon distance. She debuted in 2007 with a blazing 2:48:36 and, in the years following, from 2009 to 2011, she qualified for the Olympic Marathon Trials not once, but seven times. In June 2017, Camille Herron competed in Comrades Marathon, a race in South Africa known for its 55-miles of torturous mountainous climbs. She crossed the line first by over four minutes, and became the third American ever to win the race. Then in November, Herron not only won her first 100-mile race at the Tunnel Hill 100, but broke the World Record for the women’s 100-mile distance by over an hour. During the race, she averaged a pace of 7:38 per mile. For Herron, running is not only a sport, but an extension of her identity; she is voracious in her pursuit of distance, but she has fun, too. She looks forward to her post-run bacon and beer and, the night before big races, Herron brings a speaker to host dance parties. Sometimes she’s still dancing the next morning on the start line. 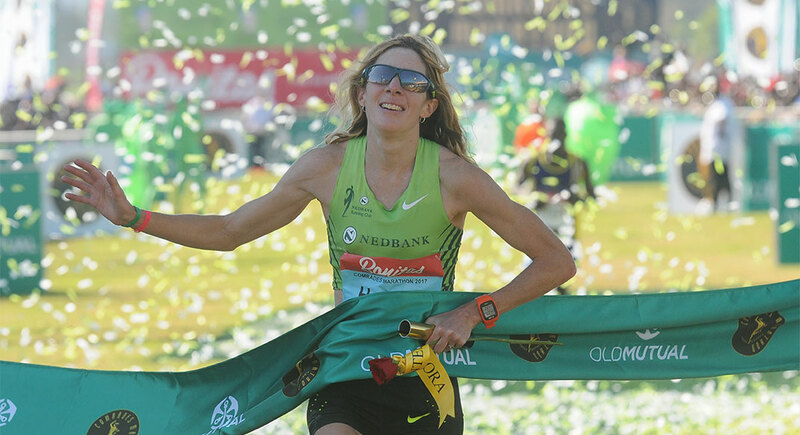 This year, Herron was poised to return to the 2018 Comrades race in the best shape of her life. However, in late May of 2018, just weeks before she was set to toe the line, she tried a new quad strengthening routine she found on YouTube. Always one to push herself to the limits, Herron found herself limping in the days that followed, due to a stress reaction of the femur and she withdrew from Comrades. Weeks later, realizing she could not run at all, she withdrew from the 2018 Western States Endurance Run as well. 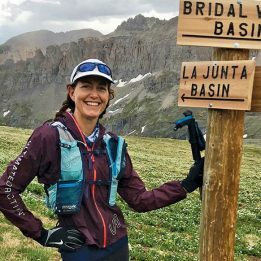 Herron, 36, who now splits her time between Alamosa, Colorado, and Oklahoma City, Oklahoma, took her first steps back running eight weeks ago and recently completed a 114.6-mile week of training. She had just returned from a workout of mile repeats along the trails near her home in Colorado when she called to talk about returning from injury, her new coaching venture and what’s ahead. How did you get through being so close to a big race and then losing that opportunity? I was in extreme pain trying to walk for thirty minutes. The first three or four weeks, I was literally doing laps around the house, because that’s all I could do. 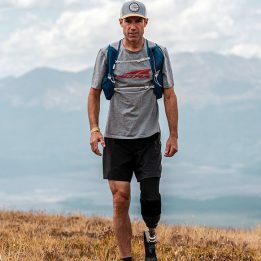 Originally, I had ruled out Comrades and I thought maybe I could bounce back for Western States, but obviously my leg was just in too much pain. I had to take a complete break. Period. 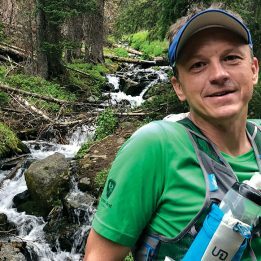 I ended up going out to Western States just because I thought it would be good to socialize and support everyone, and that was definitely the right thing to do. Usually as competitive athletes we don’t get to see a race from the other side. It is frustrating to not be the participant, but at the same time I got to take in all the emotion and everything that goes into helping the athletes. How did your comeback begin? I eventually just started trying to add in bursts of running. It was strange—I haven’t taken this much time off for an injury since I was 19. I couldn’t believe it. I would go for like two to four minutes at a time and just gasp. Are you back to the full mileage and intensity as before? About three or four weeks ago I tried adding back a little bit of speed, like strides and drills. I realized it almost felt more comfortable for me to sprint than to add volume. It’s been a bit of a process getting my mileage back up, but I’ve felt really, really good sprinting. Last week was my eighth week back, and I finally got back to over one hundred miles a week, which is typical for me. Do you have any advice for a runner who’s down about their injury? The amazing thing is that the human body has the capacity to heal. It just takes time. Two or three months ago, I was hobbling to walk, and yesterday I went for a run at 8,000 feet and I was just flying. It’s hard to see the big picture and realize within a month or two you’re going to be back out there. And who knows where I’ll be two months from now. All those big moments that you have, it really makes you appreciate when you are back on top and appreciate the process you had to go through to get there. If you were to give one piece of advice as a coach, what would it be? The biggest thing I’ve gotten from communicating with athletes is that they don’t have direction. A lot of people are getting out and doing back-to-back long runs or some ultrarunners will just go out and go long. They run every day and they don’t have any concept of having structure. We [Camille’s coaching partner and husband, Conor] are coming from a marathon background into ultrarunning and I think that because we’re so used to a structured kind of training method, we understand how all the training fits together. It’s cool for me that I can finally give back. What about being out on the trails really brings you joy? My first trail race did not go very well because I ended up hurting my hamstring, but my second trail race was amazing. I’m coming from Oklahoma so the White River 50 Mile Endurance Run in Washington was my very first time to ever run up a mountain. I was very intimidated the first twenty miles or so. We got above the clouds when we got up near the top, looking off the side of the ledge above the clouds, I started crying. I had just run up a mountain and I was above the clouds and then started to come back down. I was leading, and everyone was cheering me on, and telling me good job and I was cheering them on. It was unbelievable. I felt like I had gone through so many emotions in one race. In most road races, you’re just running for speed. But this was not just speed. It was so beautiful and hard and I tripped and I fell and I got back up and I kept going and I took a wrong turn and I got back on course—all these different things happened within seven hours of running, and I finally came across the finish line and I had never been so happy. Can I get the YouTube link for the quad strengthening?